Gaming PCs come is heavy and somehow bulky configurations but that is the say of the past. 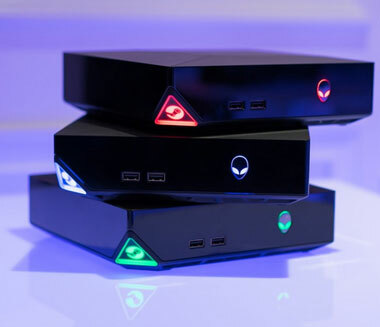 The new line of gaming PC from Dell called the Alienware Alpha comes is a very small form factor and you would be surprised of what it holds under the chassis. The Alienware Alpha gaming PC has a starting price of $549 (see details) and it can play every single gaming title due to a powerful GPU and CPU combo that the user selects. Not to mention again that it is super compact.